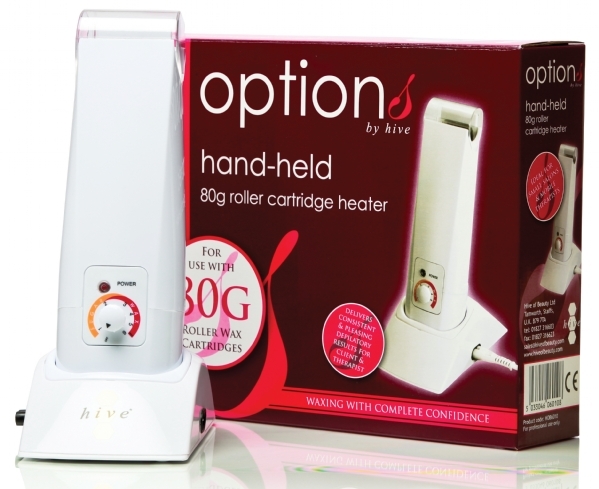 Hive Hand Held Heater quickly heats individual 80g cartridges for fast efficient roller wax application. Holds x 1 80g Roller Depilatory Cartridge. Features a Fitted Transparent Lid & Electro-link Magnetic Base Unit. Docking Connection Facility for direct connection of further roller heaters. Power Indicator Light & Temperature Regulator Control. Unique, small design heater ideal for mobile therapists. For use with 80g size depilatory cartridges. 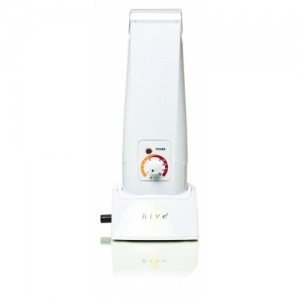 Clean heater with Options by Hive Wax Equipment Cleaner. Never use Surgical Spirit or other solvents to clean the heater. Wax spilt onto the heater casing should be removed immediately. Keep the Temperature Regulator Control free of wax. Regular and thorough cleaning can prolong the heaters working life. The outside & inside of the heater should be cleaned after each use. Ideal for the mobile therapist or smaller salon.